Due to the “alpha” nature of the OpenSimulator software, this conference is an experiment in capacity testing for OpenSimulator in addition to being a community event. Tickets to the conference are free but limited in number. We are also offering special Crowdfunder tickets that offer perks including VIP reserved seating areas, expo booths at the event, physical t-shirts and other OSCC16 promo items. We hope to be able to accommodate over 350 users in total, a figure which includes speakers, sponsors, and staff. Seats are limited, registration is open on a first-come-first-served basis until the maximum number of virtual conference center tickets is reached. At that point, community members will still be able to register for the live streamed version of the conference that will be available. All donations to the Crowdfunder Campaign are subject to the terms and conditions indicated below. 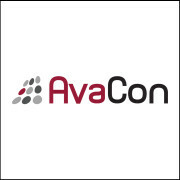 Donations to AvaCon, Inc., a 501(c)(3) public charity, are tax-deductible to the extent allowable by law for US Residents.